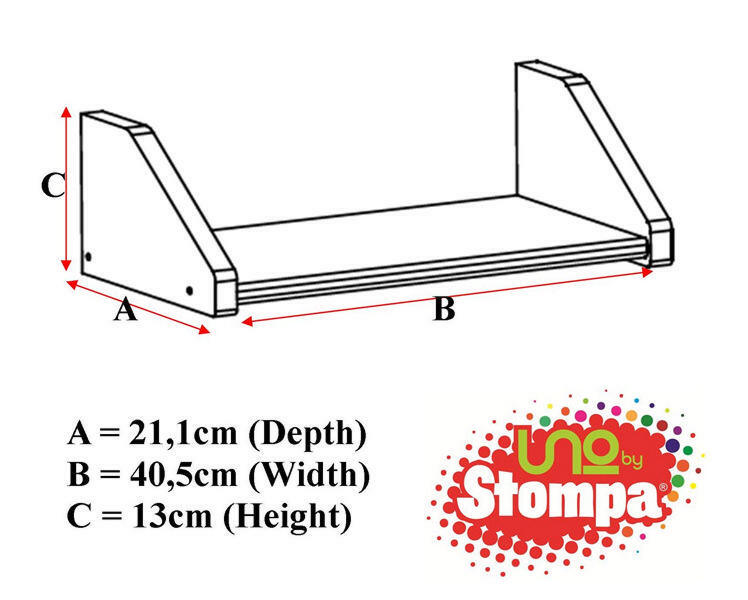 Cleverly designed Clip on Shelf fitting all Stompa Beds. This is a great little add on which is definitely useful for our beds to have books, toys, cd's, bedtime drinks handy by your side as you snuggle up in bed. Made from hard-wearing, durable MDF. 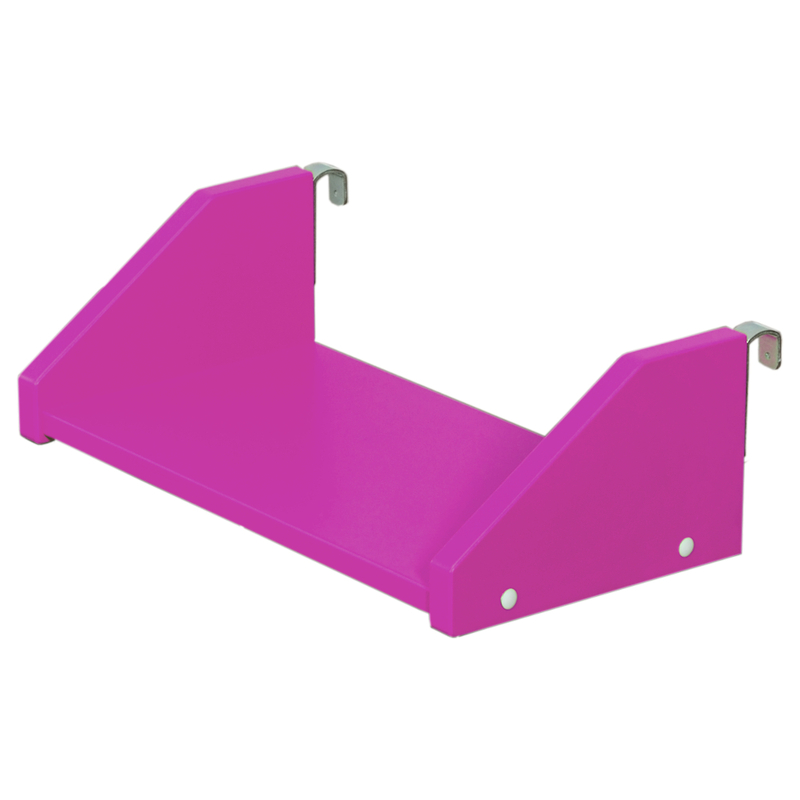 Includes pink Uno Small Clip On Shelf. Clips easily onto Bed Rail. Position it wherever is suitable on bed rail. Colours available: white, lime, pink or blue. Size of Small Clip On Shelf H130xW405xD211mm. 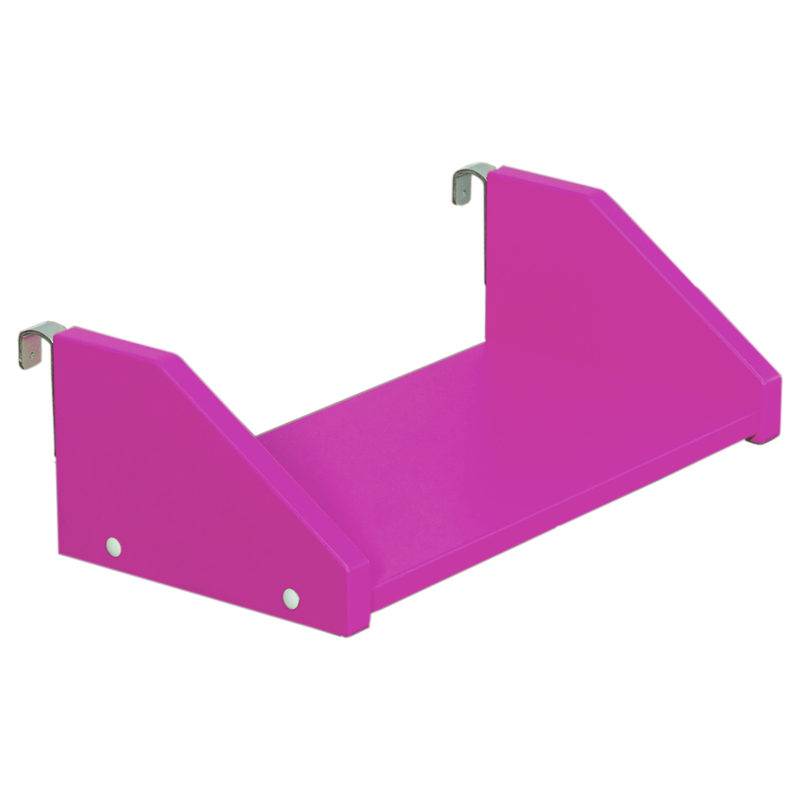 To view the technical line drawing specifications for the Uno Small Clip on Shelf Pink please click on the following link.